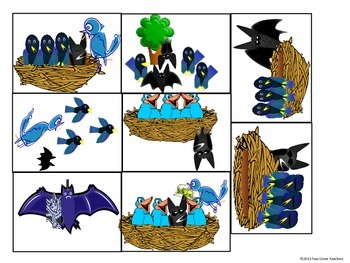 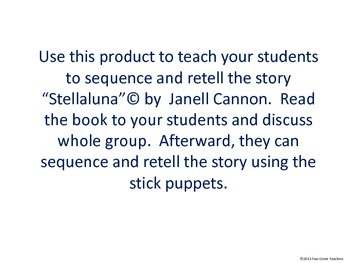 Use this product to teach your students to sequence and retell the story “Stellaluna”© by Janell Cannon. 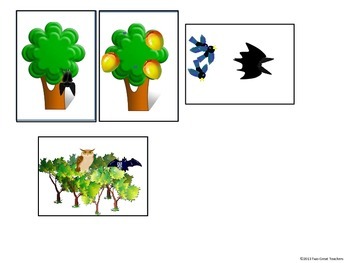 Read the book to your students and discuss whole group. 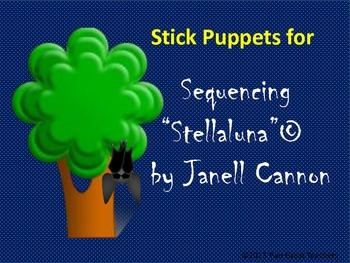 Afterward, they can sequence and retell the story using the stick puppets.